Lives and property worth billions of Naira have been lost in clashes between Herdsmen and Farmers in Nigeria. The clashes have taken place in various parts of the country but have occurred recently repeatedly in parts of Benue state. The destruction in Former Secretary to the government of the federation Olu Falae’s Farm and his subsequent kidnap added a new dimension to the challenge of incessant clashes between farmers and herdsmen in Nigeria. Some of these clashes have occurred in parts of states like Enugu, Delta, Nassarawa, Plateau, North West Benue precisely in logo Local Government area and the most recent in Benue South in Agatu local government area. President Muhammadu Buhari had to order an investigation into the Agatu clash due to the magnitude of destruction that occurred there. Observers have explained that the clashes usually occur when farmers refuse grazing on their land and are forced to confront heavily armed herdsmen. Arguments for and against setting up ranches and grazing areas for cattle rearers have dominated public discourse for a while now, with the national assembly discussing the matter. The lawmakers proposed a solution through the national reserves and routes for fulani herdsmen bill. 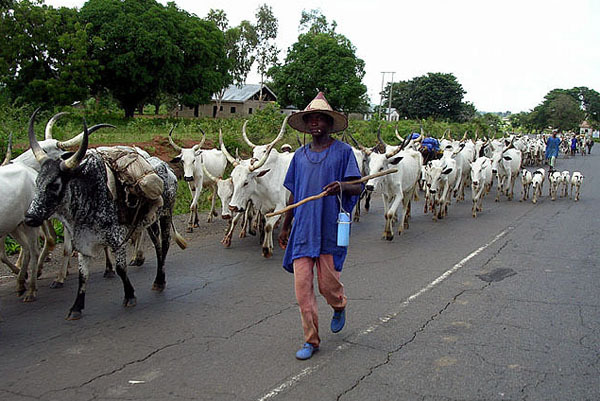 From provisions in the bill, states are expected to provide lands to aid the actualization of the bill, a step some have described as the best way to curb incessant conflicts between nomadic herdsmen and farmers in the country.the bill is expected to help facilitate the estabishment of a national grazing route and reserve commission. Others have drawn attention to the grave danger such routes could pose to national peace and security. They are of the opinion that government should re-position intelligence agencies and the police to help address the challenge. They describe the step by the Inspector General of Police, Solomon Arase to address stakeholders on the matter as one in the right direction. Other concerned bodies from across the country are proffering other strategies to bring about an end to the problem and hope the issue will be a thing of the past in Nigeria especially with the level of concerted efforts being made.